No matter how many times you visit, Paris always has something special to discover for the first time. I worked in travel for several years, during which I frequently needed to hop over the Channel, so I know the city well and yet I always jump at the opportunity of visiting again. But more importantly today, I think, is that I remember perfectly well visiting the city for the first time – a very excited 6 year old jumping off the plane from Portugal to finally visit Paris! Despite it having been many decades (ouch!) ago, that is the visit I remember most vividly, the smells more distinct, the french cafés noisier. Although I have taken our son to Disneyland Paris a few years ago, I have been itching for a chance to go again and truly show him the Paris of my childhood. Not only that, but since watching Ratatouille, he has become fascinated by the Eiffel Tower and is always asking me when we can go. Luckily for both of us, this summer we’re travelling to Portugal from London by train, during which we will include a short stop in Paris. 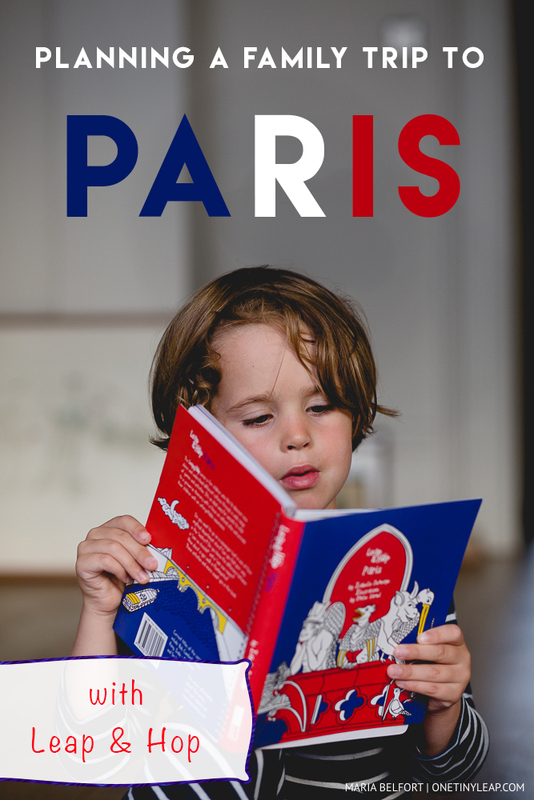 So when I was contacted by the author of the wonderful kids’ travel books Leap & Hop, and offered the opportunity to use their Paris Kids’ Guide in preparation for our trip I immediately said Oui – merci! And I thought that I’d put together a planning guide to visiting Paris with kids. See some of our tips in our Paris Family Travel Tips Pinterest board. I’m a firm believer in starting to explore your holiday destination before you actually travel, so as to get your kids acquainted with life there, get some inspiration for visits, and who knows, maybe even learn a word or two of the local lingo! So when our son got into his PJs last night, I decided to make him a nice cup of hot chocolate, and get our Leap & Hop Paris book from the shelf to start the first stage of our trip. 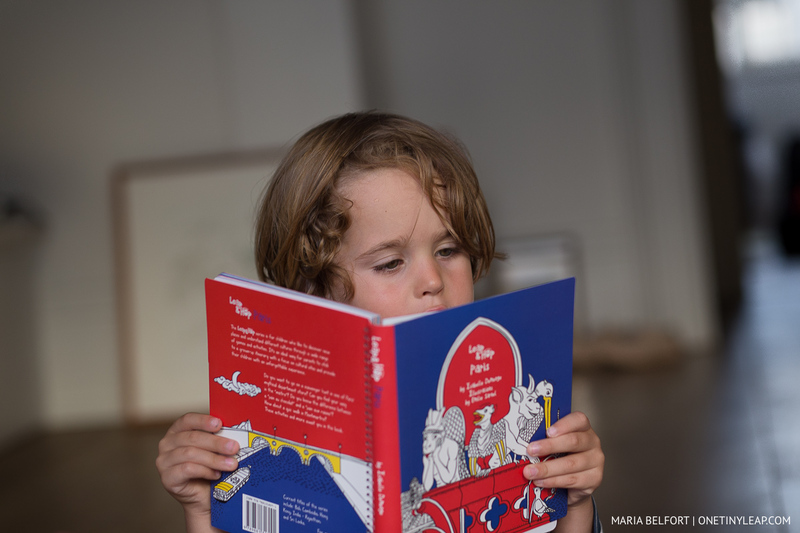 The books are aimed at slightly older children – perhaps 6 to 12, with a range of engaging educational activities and games, amidst beautiful illustrations and photographs of Paris. The clever thing about the book is how it includes the reader in its exploration of the city – children are asked to share mementos, keep track of their favourites foods, museums, draw the Eiffel Tower, etc, all whilst teaching the children about the city’s history and culture in a very engaging way. 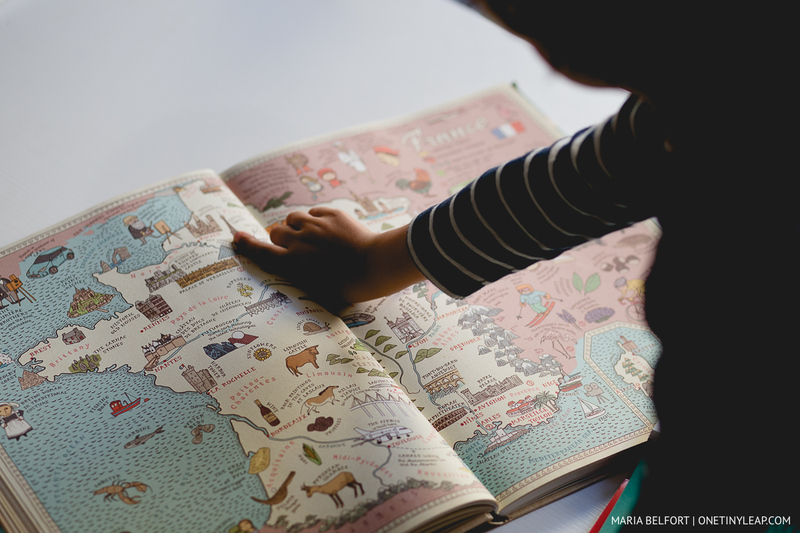 This depends a little on your child’s age, but it’s always good to start with the book MAPS, and trying to spot the country, talk about the capital and locate where you’re going. With Paris, it was really helpful having a quartier map of Paris in the Leap & Hop book, for us to get orientated in the city itself. Despite it being aimed at older children, my nearly 5 year old was enthralled by it all. We talked about the different ways we can travel to Paris from the UK, and moved on swiftly to Leap & Hop as Charlie wanted to learn a few words of French! The French, and Paris in particular, have a very unique way of looking at, and living life, something I really want my son to try and experience. It’s almost as it it’s in the air, a special joie de vivre, the distinct smell of coffee and crepes permeating the busy streets, buying a baguette, navigating the métro, learning to ask for a glass of water at the café, pick up a book or two on the street, and if you’re lucky watching and having your portrait done in Montmartre (sigh, I know but I loved it as a kid). Leap & Hop will help your child get acquainted with some of these, building up the excitement and allowing them to venture further into the adventure on the day. My absolute favourite thing about Paris are its lavish, large and beautiful gardens. You’ll find that near the museum mum and dad are wanting to visit, there’s a great child-friendly park right next to it. The same goes for the Eiffel Tower, Champs de Mars is probably where your kids will want to be, not on an never-ending queue to get to the top of the Tower (also, consider a trip up the Tour Montparnasse instead, for spectacular views OVER the Eiffel Tower & Montmartre). Spend some time exploring the Jardin de Luxembourg, take a picnic and let your child(ren) sail a boat on the pond to make some unforgettable memories. The Tuilleries (and do make a point to pop into the nearby Museé de l’Orangerie, and of course, the Louvre if you have older children). 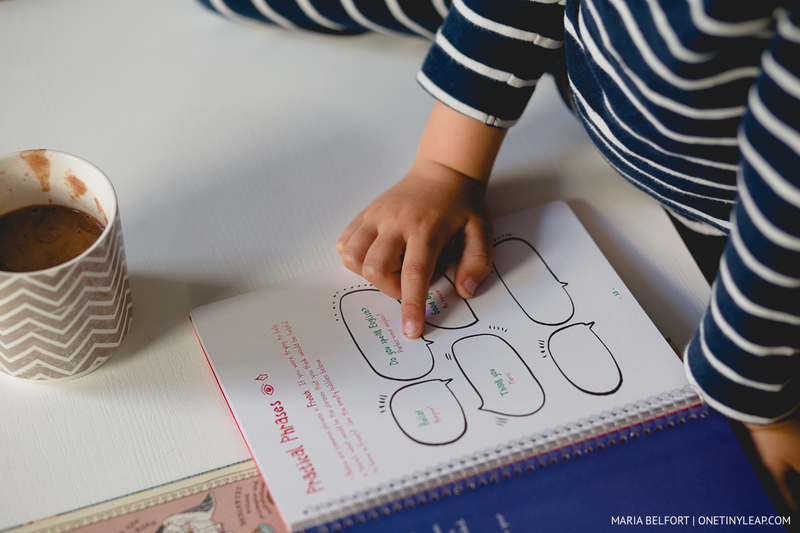 We’re a family of foodies so our next step was finding out all about French food – Charlie already knew a few things like baguettes and crepes, but the thought of frogs legs and lamb’s brains really gave his imagination something to chew on. Learning about the local delicacies will make our daily trips to the supermarket or market so much more fun. TIP: Visit a market on your first day to get you and child acquainted to France’s many wonderful produce and baked goods. Don’t forget to pick up a mandatory ice-cream at Berthillion in the Ile-st-Louis after your visit to Notre Dame. If your child is a bit adventurous and fancies some seafood, try La Coupole for brilliant oysters and seafood. Is it possible to visit Pariss world renowed museums with kids? It can be a little stressful, but here are some tips to make it easy on you, and engaging for them. TIP: Do try to avoid setting strict itineraries when visiting Paris with children, as the city is pretty full-on and they might get overwhelmed. 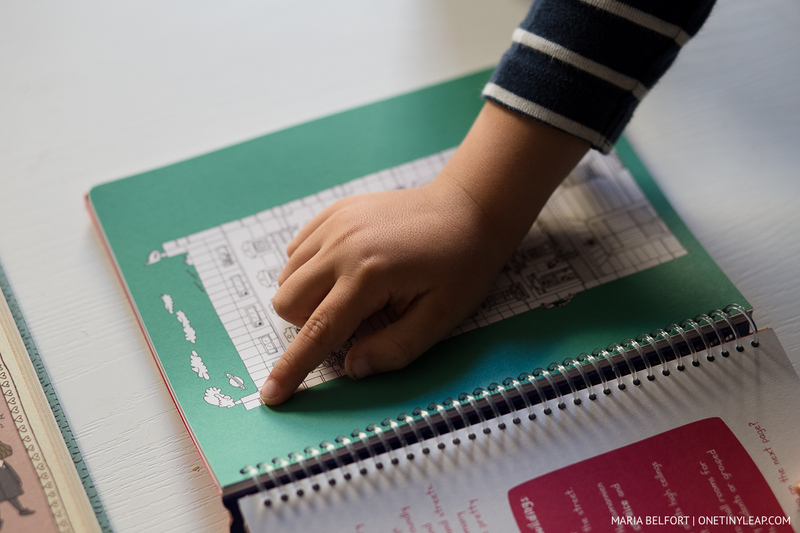 If you’re visiting with kids 6+ then I recommend using the museums’ educational resources, or going on one of the guided tours for kids – the museums in Paris are very geared up to welcome school groups and families, so you can find a plethora of information online for both before and during your trip. 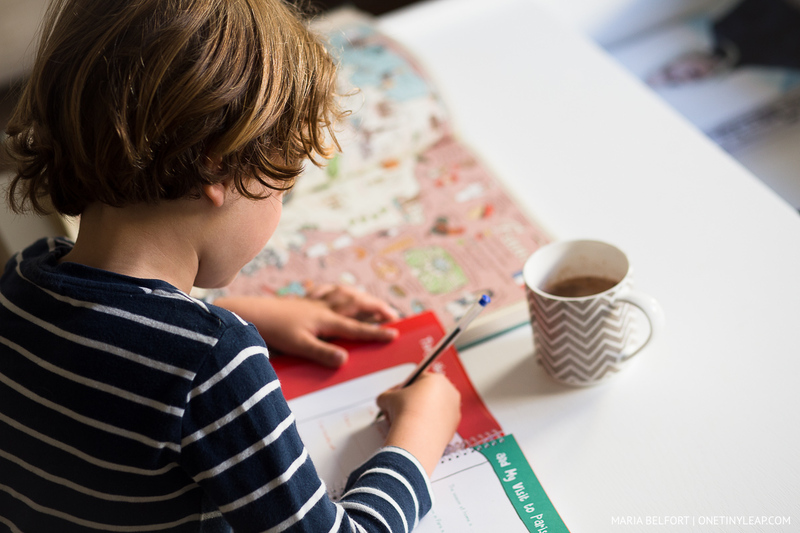 The Leap & Hop book has a ton of fun activities to do around Paris’ museums that are sure to entertain your kids, as well as keeping them engaged and curious both during and after their visit. The fun illustrations and involving mini-tasks really captured my son’s imagination, and his fascination with Paris has only grown stronger. I can’t wait for our trip, so that we can get every page filled in, collect memories, photographs and tickets and keep it as a souvenir of our trip. Leap & Hop have kindly given our readers a whopping 15% off their collection, valid until the 31st of August, on any title. Simply enter the code OTL when you checkout. 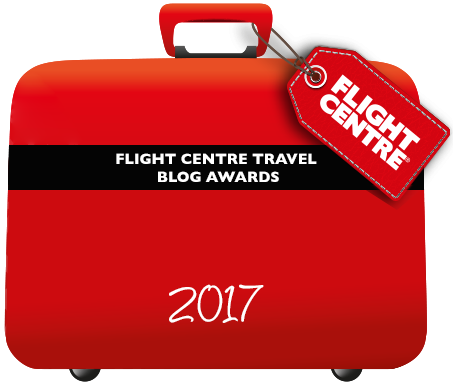 So far they have guides for: Paris, New York, Cambodia, Bali, Hong Kong and Singapore, among others.